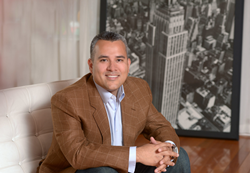 Vengreso CEO, Mario Martinez Jr., was recognized by InsideSales.com as one of the top 10 sales development thought leaders of the year, chosen by popular vote at the Sales Development Summit 2018. Winners of the award were recognized based on their ability to demonstrate exemplary leadership, sales growth success and consistent quota attainment. The 2018 Sales Development Awards honored sales development representatives and leaders. Winners were selected by their peers, recognizing expertise and ability to empower teams to meet their sales objectives. Well-known personalities in the sales development field rose to the top of this list. The Top 10 Sales Development Thought Leaders were recognized for their accomplishments in pushing the boundaries of sales development, pioneering new methods to build a pipeline and helping others be successful in their space. InsideSales.com accelerates revenue growth by 30 percent with the only full-stack AI sales platform powered by Collective Intelligence – exclusive insights from 120 billion global buyer interactions. With Amazon-like buyer recommendations informed by the actions of billions of buyer behavior data points, InsideSales.com delivers unprecedented B2B buyer insights to triple productivity and improve the buyer experience. Fast-growth brands like Caesars Entertainment, Cisco, CenturyLink, T-Mobile, Fidelity Investments, West Corp., Broadridge, Ten-X, Waste Management and others rely on InsideSales.com to deliver significant measurable improvements to sales and marketing visibility, productivity and effectiveness. For more information, visit https://www.insidesales.com. Vengreso helps B2B sales professionals reach more qualified buyers by empowering them to leverage digital selling strategies. Vengreso enables salespeople to reach and engage the modern buyer the way the buyer requires for effective modern selling. Companies engage Vengreso to develop the content strategy their sales team needs to engage their buyers, makeover their LinkedIn profile through the lens of the buyer and deliver digital sales training through live instruction and on-demand blended learning to maximize results and behavior change. Vengreso reaches 98 million people through social media, inspiring them to become the modern seller that the modern buyer demands. Progressive brands such as CenturyLink, Intelligize, Trinet, WorkFront, Woodruff Sawyer and others depend on Vengreso to empower their sales teams to create more sales conversations with qualified buyers. Learn more at https://vengreso.com.